Spring is Here, It is! It really is! I saw little lavender blooms on my creeping phlox, my clemantis has new shoots, and it’s my oldest sons birthday tomorrow. These things all tell me that spring is here. This page was done in my moleskine with my new BIG Pitt Brush Pens. They are fabulous!!! And absolutely do not bleed through, amazing. wow..that cake looks good enough to eat! yum. Love all your work Pam! Hope you have a fun day with the birthday boy! Oh I forgot to tell you how much I love that darling page of Spring you did with the pitt pens…I’m so looking forward to you next class..heehhehe!!! Oh, how exciting!! Very happy for you! 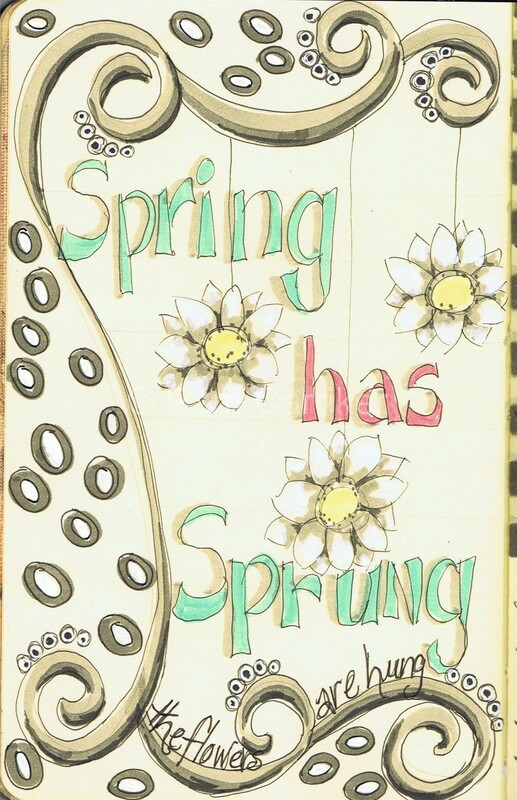 Love your journal page…it’s so pretty and spring-y. Have a wonderful weekend, Pam! Pam I know how excited you are! !Enjoy the precious time with your son and daughter-in-law. It’s an amazing thing to watch your family grow. The cake looks fabulous!!! I wish Spring was here but it really isn’t where I am. *sigh*There’s soo much snow and ice that I’m sure it won’t melt until June. I just came indoors after working on some garden clean=up. I just have a few perennials starting to peak through where I disturbed the dead foilage. So I'm feeling a little jealous. But yesterday I heard the song of a true harbinger of spring: the red-winged blackbird. I love their music.I'm so happy for your gift of having your son & DIL home for his birthday.I've been eyeing those markers. I think I need to make myself earn them as a reward for getting my art framed. Not my favorite part of the process. I am so happy for you Pam! 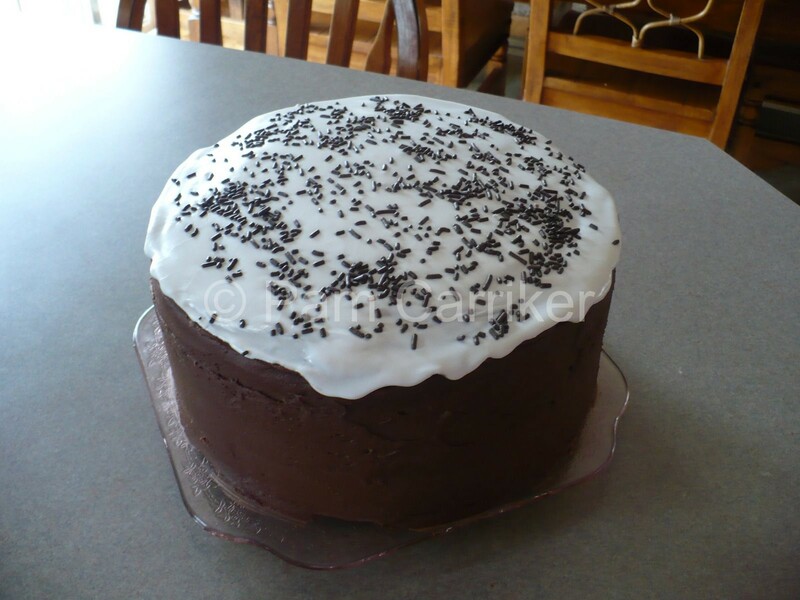 !what a wonderful gift for you to have your son back home on his birthday, and with the newest member of your family:-)Enjoy this wonderful time,that cake sure looks good! Good for you, sweetie…I can feel your joy across cyberspace and see your smile :)Have a wonderful time celebrating with your son and daughter-in-law.